This week has been wonderful—I think I’m on a post-leadership high! 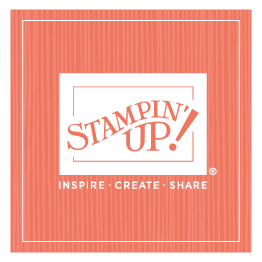 The success of leadership has been a fairly constant topic all week long, as we’ve met at Stampin’ Up! and discussed ways to build on the momentum, share it with others, and continue to make our events better and better. Being with our demonstrators and employees, feeling their combined enthusiasm, simply rejuvenated me. I am so psyched for 2011! Having said that, I did take a day off yesterday to go antiquing with Sara and Shalae. They both had “missions” and were looking for specific pieces, and they wanted my opinion. At first, I told them to go without me, but then I realized it had been more than a year since I’d gone and it is one of those things I do to “fill my bucket.” And since I’d talked at Leadership about how important it is to fill our buckets once in awhile, I went. . . Wonderful decision! We completed the “missions” and discovered a few other treasures as well (including a funky retro ‘50s jacket with lime green, Old Olive, and Garden Green all in one pattern!) that I couldn’t resist. Watch for a photo—I’ll make sure to wear it soon. Hope you’re all taking time to fill your buckets when you can!